Hi there, HowDoesShe Gals! Today we have an adorable and fun tutorial by guest poster, Heidi from Made by Heidi: Sew.Craft.Create. 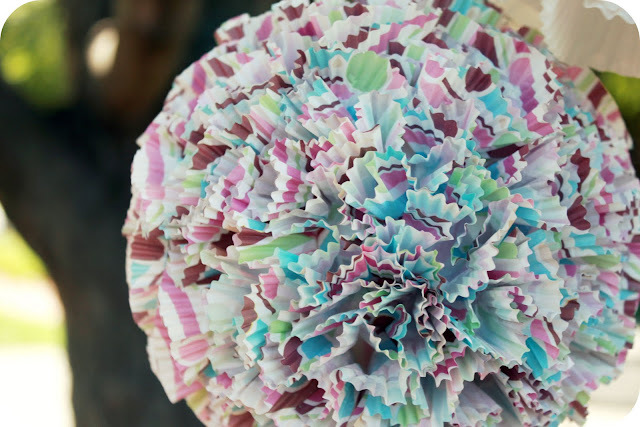 Today I’m teaching you how to make decorative pom-poms using cupcake liners! that’s right… cupcake liners! I was walking by a cupcake shop in St. George, Utah, when I noticed the most beautiful pom-poms hanging in the window display. 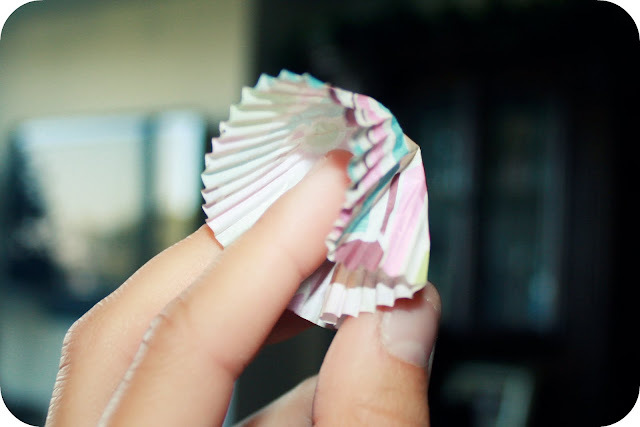 Insert finger into cupcake liner and mold it around your finger. This will leave the base of the cupcake liner rounded (visible in the second photo). 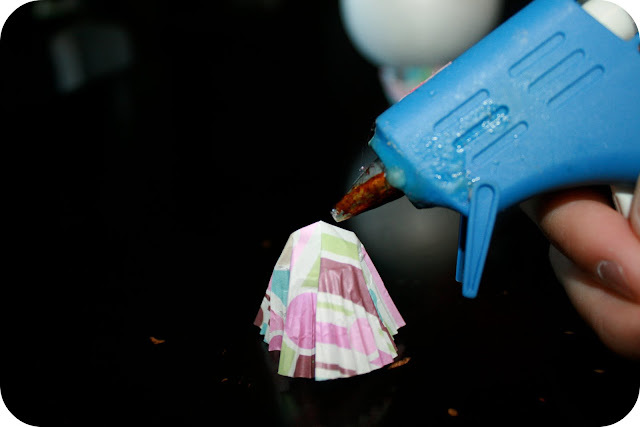 Add a tiny dot of hot glue onto the middle of the rounded base (created in step one). 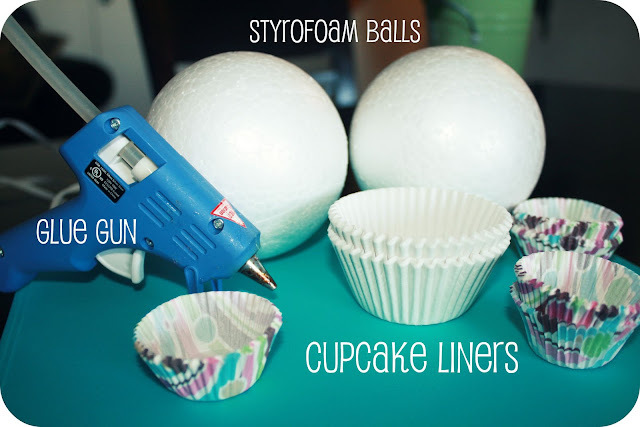 Press the cupcake liner onto the foam ball. Hold for a few seconds. Press the cupcake liner together and reshape it so it does not flare outward. 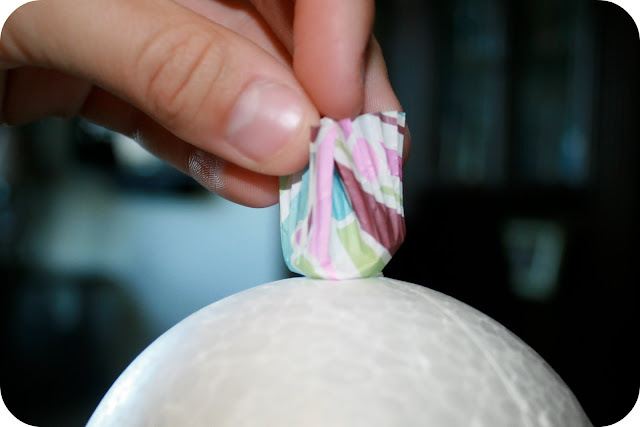 Continue gluing liners on the ball until it is completely covered. Voila! Finished! It took about 100 mini liners and 40 average-sized liners to cover a 10 inch (diameter) ball. The amount of liners needed will vary depending on how you wish to space them on the ball. 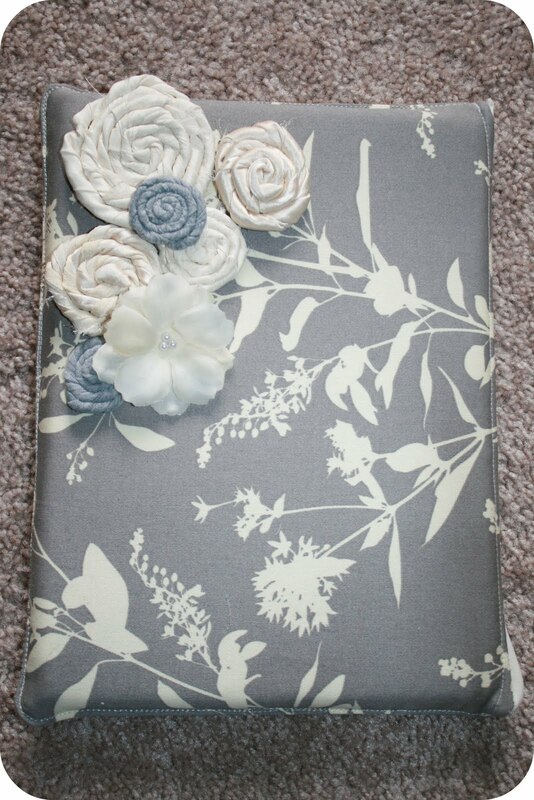 The only thing better than getting my hands on an iPad, would be getting my hands on one of these GORGEOUS iPad cases! Heidi teaches us how to make them! Doesn’t this clever idea have you curious? Tweet, tweet! And don’t forget to check out her tutorial to make this adorable memory game AND a case to carry it in. SMART! « How to Make a Plexi Frame! OMG these are poms amaaaazing! I will definitely be reblogging this! .-= Amy @ Blowout Party!´s last blog ..Partying in the Fast Lane! Race Car Birthday Party =-. This is my kind of crafting. What great ideas, thanks for passing them along! .-= Jessa (Holiday Haven)´s last blog ..WISH i was on HOLIDAY-The Historic Union Hotel =-. This looks like it would be a lot of fun to make for any occasion! Dollar store, here I come! 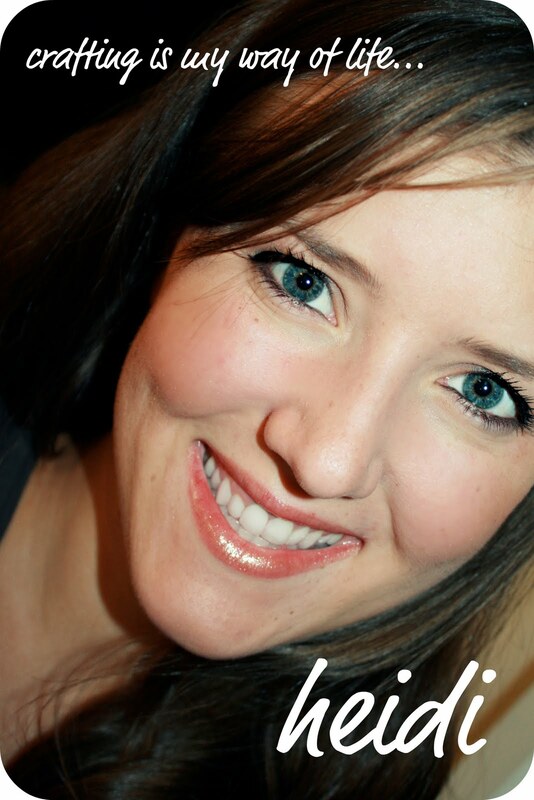 .-= Fun On A Dime Lady´s last blog ..Free Month of Readeo =-. LUV LUV LUV it! Might have to put those on my ever growing to do list! .-= Jodi´s last blog ..Cupcake Liner Poms =-. Cute, easy & inexpensive-L-O-V-E IT! Such a CUTE idea! I’m totally making these for my next party!!! Thanks Heidi! Love them! They turned out so adorable. Love you, Heidi! I guess you could get really snazzy and coordinate your cupcakes with the pompoms. .-= Suzie @ cupcake monkey´s last blog ..Rainbowsto brighten your day! =-. The pom poms are so adorable! .-= Tammy @ Not Just Paper and Glue´s last blog ..Dawn Has Dropped in for a Visit! =-. I bet if you didn’t want to use the hot glue gun you could adhere them with a thumbtack in the bottom center? That is if the thumb tack head was the same color as the liner. 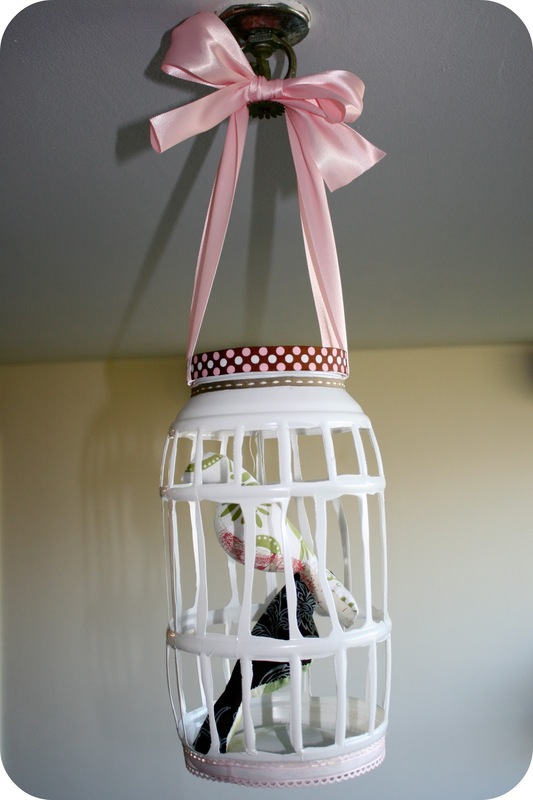 I could see doing this for a baby shower decoration hanging from the ceiling. 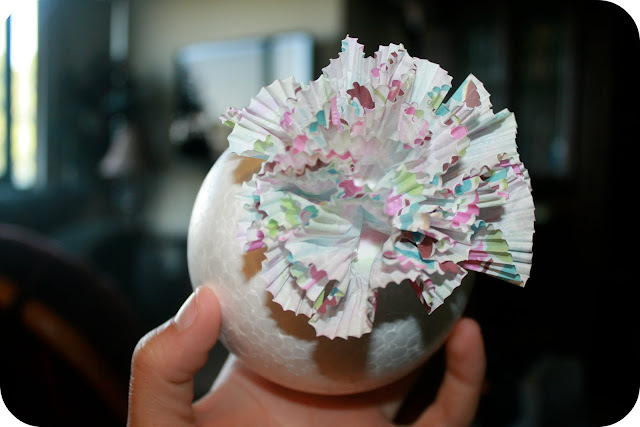 What about making a package decoration with a halved small styrofoam ball and using mini cupcake liners and gluing the flat edge of the ball to the package wrapping paper. I mean instead of a bow for some really cool Christmas packages. Hmmmm, I think I’m going to try this. This is such a wonderful idea. They would be good for a garden wedding too. Could someone please tell me how to attach the fishing line to hang it? .-= Peggy´s last blog ..Pickled Peppers =-. oh. i love these like crazy. serious love. So beautiful! Like Rebekah above, I’ve enjoyed decorating with the big, Martha Stewart style tissue paper puffs before, but these have a new look and a feminine ruffly touch that I simply adore! Can’t wait to make these for my next event! .-= Jenn Erickson/Rook No. 17´s last blog ..DOLLAR STORE HALLOWEEN CRAFT SKELETON CREW REDUX =-. Can someone PLEASE tell me how to attach the string to hang it from though? ANd what is a good way to attach it to the ceiling? .-= Jeannie´s last blog ..2 layer Poke cake =-. Those are so fun! Thanks so much for the great tutorial, I’ll be linking. Um…I’m drooling over these cupcake pom poms!! .-= Lisa´s last blog ..Eat your stamps! =-. Thanks for sharing – this is so cute, and I can’t wait to make them! Great idea! My sister-in-law is pregnant with triplets, so I have been compiling ideas for the shower I am hosting. Thanks!! This is so adorable! I made a cross of this project and this one https://howdoesshe.com/cupcake-flower-centerpiece for my daughter’s birthday party and wanted to share. 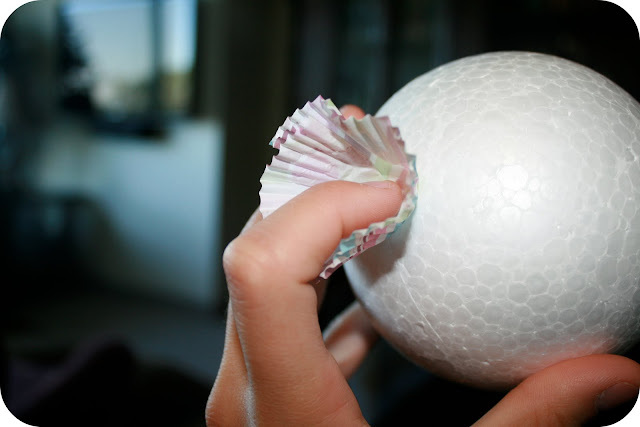 I had the foam balls that have a rough surface so the glue didn’t stick as easily. I reinforced some of the cupcake liners with straight pins. I used a little plastic kid’s bowl from Ikea as the flower pot and the cupcake liners (mini) for the flowers. YAY! Thank you for sharing. I am going to check them out! Thank again for sending pics. We LOVE to see what everyone else is doing! Did these for my little girl’s 2nd Birthday..polka dot themed, so I used polka dot cupcake liners..got SO many compliments! How can I post a pic?? 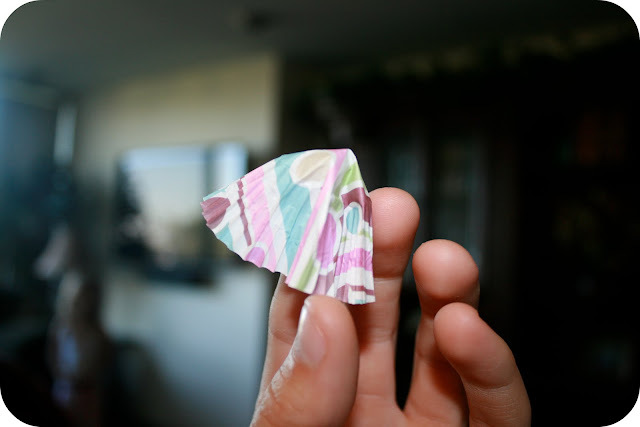 ADORABLE – I will be making these instead of tissue paper ones in the future! I love these! Who knew there were so many things you could do with cupcake liners? Thanks for the inspiration! I posted on my blog today. So much fun! Perfect birthday decorations. Just made these for my daughters party and they came out fantastic! And easy to do :). 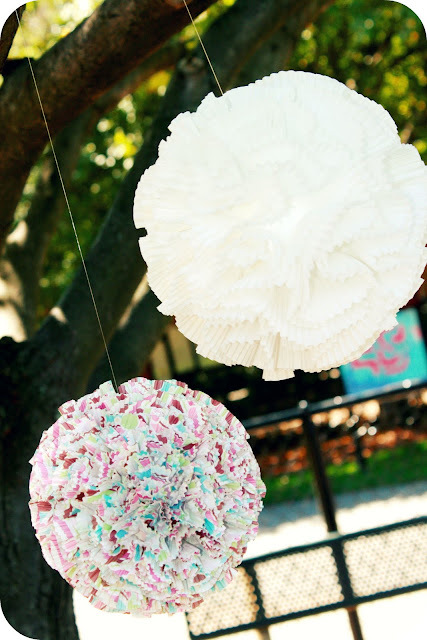 I used 3″ and 5″ balls though and had them on candlesticks and as centerpieces rather than hanging. Thanks sooo much for the tips! Love the cupcake liner balls!! How do you put the string through so they can be hung though?? Where did you find 10 inch styrofoam balls at the best price ? 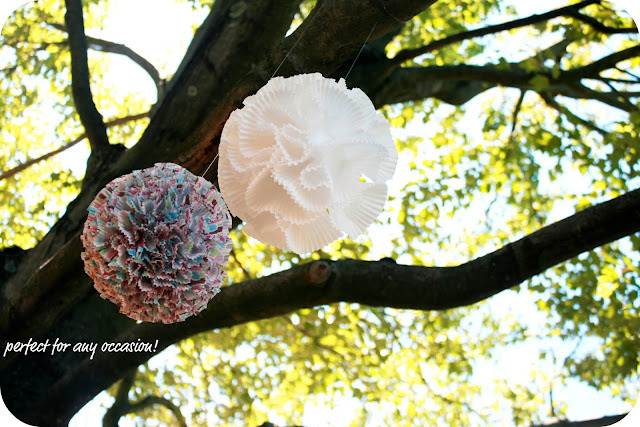 The pom poms are soooo cute and I can’t wait to make one, maybe two! Hi! I am currently making these for my daughter’s party. I heard to hang these with fishing line, but I cannot figure out how to securely attach the line to the cupcake pom in order to hang it. Help? That’s a great question. I have heard of putting some hotglue on one of those tiny hooks that have a screw for the bottom, and screwing it into the styrofoam ball, then tying the line to the hook. Let me know if you find a way that works for you!